The five frontier experiments published in Nature are commented item by item: spotting distant signs of life, seeing through the molecular mirror, looking for extra dimensions, catching a gravity wave, redefining the kilogram. It is concluded that the first two experiments are great ideals that are impossible to realize in recent years, the last three are false theories pulling physics into morass. There are many idealism problems in modern physics. These are (1) denying the relationship between sense and existence, (2) doing not accord with the law of causality, (3) imaging the universe using deductive method of mathematics, (4) propagating the super distance effect which do not need time, (5) using wrong philosophy and physics concepts, (6) studying the origin of the universe, (7) departing from axiomatic system, (8) denying the definitions of basic physical quantities. These problems are destroying the fundaments of physics as well as the whole science. In the research of physics, we must insistent materialism, anti- idealism and anti-divine creation. This paper introduces the Big Bang theory, nebula back phenomenon, Hubble's law, multi-dimensional space, curved space and black holes in modern Cosmology, and points out that these are all baseless and irrational. It promotes a plain view of the universe - the materialist view of space-time-mass-energy to study the universe. Observation and understanding of the universe are very limited now. Cosmology should be realistic: know what is known, and know what is not known. To observe moving objects, the speed of light is defined as the speed of photons relative to its source, and the propagation characteristics of light in pure space and a medium are introduced in this paper. New concepts called the moving space-time coordinate, the visual space-time coordinate, and the static space-time coordinate are proposed. This paper derives the relationship among the three in pure space and in a moving medium. It is concluded that the moving objects observation theory has solved the measurement problem of moving objects. Movement cannot cause changes in length, time, and mass. Moreover, there is not any light speed barrier. Introduces concepts of speed, light speed, faster-than-light speed. If the image observed by people stand on a fixed reference is in the normal, then that observed by people stand on ultra-light vehicles is the playback image, and its playback speed increases with the speed of vehicles. Speed ​​does not affect the rate of passage of time. Faster-than-light speed does not cause time goes back. There is no time tunnel. Introduces Big Bang theory, nebula back phenomenon, Hubble's law, multi-dimensional space, curved space and black hole in modern Cosmology and points out that these theories are all baseless and irrationality. Promotes the use of simple view of the universe - the materialist view of space?Ctime-mass-energy to study the universe. The observation and understanding of the universe are very limited now. Cosmology should be realistic, know as know, I do not know as I do not know. The law of gravitation is used widely. However, it is still unsolved how these two objects attract each other. Hypothesis, such as graviton, universal repulsion, sub-photon sea etc., all are of defects, having not explain the law of gravitation successfully. This paper assumes: (1) micro particles with a certain speed, moving like thermal motion, are distributed in pure space; (2) the objects are not continuous at the micro structure, there being gaps between the particles composed of the object, allowing part micro particles passing through; (3) momentum passed from particles to the objects is proportional to mass of the objects. Using theory of exchange of momentum between objects and micro-particles, the source of gravitational attraction and formula are explained reasonably. Gravitational attraction is an equivalent expression of the force close to each other between and on the line of the two objects, coming from exchange of momentum between objects and micro-particles. The constant of universal gravitation G is accurate only for near earth astronomical body. The gravitational attraction between two objects is affected by intermediary between them. There is no graviton. Consciousness is a reflection of matter in people? ?s mind in traditional philosophy. This view-point is unilateral and local. It does not fully describe the relationship between consciousness and matter. Consciousness is a reflection of matter in living body, an advanced and organized form of matter. Consciousness can re-act the matter world; change the world and consciousness itself. What is the nature of light? Particle or wave? How fast is the speed of light? These are all basic questions of physics. From points of philosophy and observation, it is demonstrated that the nature of light is a kind of particle, and many photons?? group behavior is of characteristics similar to the wave. Reflection, diffusion, refraction and transmission of light are all phenomenon of matter? ?s attraction, absorption and re-emission of photons. Until now, there is no accurate means of measuring the speed of light. For the speed of starlight relative to the earth, the closer to the earth, the closer to the speed of light emitted by a light source on the earth relative to the earth. Physics field is composed of space and tiny particles. The traditional view is that temperature is the intensity of thermal motion of a great number of molecules. However, it can not interpret the existence of the constant geothermal gradient reasonably. This paper advances that temperature is composed of the thermal motion of a great number of molecules and microparticles. The density of microparticles in the earth is closely related with gravitational field, and the temperature distribution in the earth is the function of gravitational field. The density of microparticles in the earth is larger than that on the surface; the temperature in the earth is higher than that on the surface. This paper not only improves the thermal vibration theory, but also finds out the reason that geothermal gradient keeps constant. What is the charge? Why there are two kinds of charges? Why do the same charges repel, and dissimilar charges attract each other? Why meet the Coulomb's Law? These are the most basic questions of physics. Assume the existence of a kind microparticles in the universe, called electon casually; if an object contains electons more than its expected value, in the surplus state, and positively charged; if an object contains electons less than the expected value, in the scant state, and negatively charged; if an object contains electons equal to its expected value, in the saturated state, and is neutral. The charged objects have the property exchanging charged or uncharged microparticles in order to achieve the neutral state. The acting force between two charged objects comes from the exchange of charged and uncharged microparticles. The same charges repel, and dissimilar charges attract each other. The value of force is consistent with Coulomb's Law. The material between two charged objects affects the value of the acting force between them, but does not affect the direction. All experiments show that the speed of light relative to its source measured in vacuum is constant. Einstein interpreted this fact such that any ray of light moves in the "stationary" system with a fixed velocity c, whether the ray is emitted by a stationary or by a moving body, and established Special Relativity accordingly. This paper reviews basic hypotheses and viewpoints of space-time relationship in Special Relativity; analyzes derivation processes and the mistakes in the Lorentz transformation and Einstein's original paper. The transformation between two coordinate systems moving uniformly relatively to another is established. It is shown that Special Relativity based upon the Lorentz transformation is not correct, and that the relative speed between two objects can be faster than the speed of light. The Apollo Moon Landings is great feat or a put-up job? Several gammons in The Apollo Moon Landings, mostly are discussed in "Moon Landings Maze? ", are disclosed. The result is that The Apollo Moon Landings being a put-up job for frightening Russia in the American- Russian contest for hegemony . The Apollo Moon Landings cheated the Russian Government, and at the same time the people in the whole world. This paper discusses the current status of special relativity in science and philosophy, as well as society, the reasons for special relativity becoming famous, three viewpoints on special relativity in academe, four attitudes of public on special relativity, comments of famous scientists on special relativity, periodicals and scientific meetings as well as networks studying questions on special relativity. This paper sums up arguments that focus on special relativity, analyzes the mistakes of logic in special relativity, investigates the authenticity of validations and applications of special relativity, and concludes that the essence of special relativity is a wrong logical inference embarking from the idealist standpoint. It analyzes special relativity? ?s harm in science and philosophy as well as society. This paper advocates the materialism style of seeking truth from facts and the publication policy of ? ?a hundred flowers blossom and a hundred schools of thought contend? ?, in order to liberate scientific research from its imprisonment in special relativity. The views of space-time and mass-energy of idealistic special relativity should be abandoned, and the views of space-time and mass-energy of materialism should be restored and developed. This paper re-derives the coordinate transformation between two coordinate systems moving uniformly along beeline one to another, and make it clear that the special relativity is a absurd theory based up wrong explanation of constant speed of light. This paper discusses the relationship between mass and energy. It discusses the measures for supporting relativity. Based on Newton? ?s space-time view, it advances observation theory of moving objects. It forecasts the development of physics. Newspaper of The Ministry of Science and Technology of the People's Republic of China 2008. Modern Science 2007, (19): 54-56. 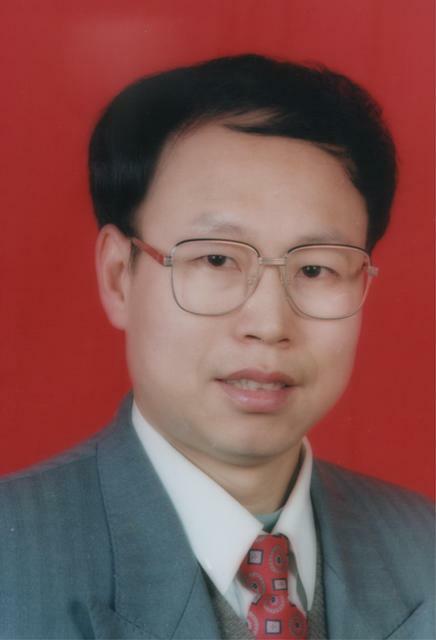 China Awards for Science and Technology 2008, (4):66. Mechanism of cavitation is introduced. Rationality of cavitating number which is used to judge cavitation and describe cavitating degree of jet is iscussed, and it is found that cavitating condition cannot be obtained from cavitating number. The prerequisite for cavitation is that there exists an area in which absolute pressure is lower than or equal to vaporization pressure. To cavitate jet in high pressure environment, special decompression measure must be undertaken. Problems of Rayleigh equations for calculating impulsion pressure under annihilation of cavity to explain the fact that cavitating jet is of greater power to break target object than common jet are analyzed. A new explanation is given that target surface pressure pulse from density changes of cavitating jet which contain cavity is the main factor for breaking target more effectively. In porous medium, matrix and fluids bear forces together. For analyzing strength and deformation in porous medium, matrix stresses must be calculated. After Terzaghi advanced matrix stress for saturated soil in 1925, many people have used matrix stress in their researches. It is found that there is mistake in Terzaghi's equation. A new matrix stress equation is established. This paper analyzes the unidirectional and symmetrical lapse characters of time and all-direction uniform character of the three-dimensional space. It brings forth the materialistic views of space-time and criticizes the idealistic views of space-time. On the basis of a detailed analysis of mass and energy, this paper reveals that mass is the essence of matter, energy is the nature of the matter world. Mass and energy can?t transform from one to the other. This paper introduces the essences of mass, time, length and energy, as well as their standard measurement units, analyzes mass-velocity relationships in different theories, and comments on these relationships. Also the paper negates the mass-velocity equation and the mass-energy equation in the special relativity; analyzes the source and generating mechanism of atomic energy. The author deems that mass is mass, energy is energy; mass cannot be transformed into energy and energy cannot be transformed into mass. These two concepts can? ?t be converted into each other. There are mass conservation and energy conservation, individually. This paper introduces the basic hypotheses and viewpoints on space-time of the special relativity as well as of the moving objects observation theory. It proposes a new concept called the visual space?Ctime and derives the relationship among the realistic space?Ctime of moving coordinate systems, the visual space?Ctime and the realistic space-time of static coordinate systems. From the analysis of comparison, I conclude that the moving objects observation theory has solved the measurement problem of moving objects. Movement cannot cause changes in length, in time or in mass. Also, there does not any light barrier. So the special relativity should be abandoned. Be carefull: In this paper, 1st line in (9), 2st line in (10), 1st line in (11), 2st line in (12) are wrong. For the correct results, please the paper "Observation Theory of Moving Objects"
It has been 100 years since the time when Albert Einstein published his theory of relativity. The theory has been the center of debate since the time when it first appeared. Three kinds of points of view to the relativity have been produced: support it in its entirety, amendment it as needed, and completely opposing it. This paper discusses the supporters?? methods on how they back up the relativity in ten aspects. The supporters suppress the opponents and their thoughts. This paper simply analyzes the reason for why such phenomenon exists. Resume the order, promote and develop the Newton?s Space-Time View Resolution of 2007 Seminar on Space-time View of the Special Relativity 2007 Seminar on Space-time View of the Special Relativity was held in Yanshan University, China, from Aug 8 to 19, 2007. Careful study, intercommunion and discussion were carried out among the attending (Table 1) and absenting (table 2) scholars, and the agreed resolution is followed. Materialism guides the physics study In physics study, materialism should be insisted; mentalism and mythicism should be abolished. Phenomena and laws observed and confirmed are taken into the scope of science. Prediction and assumption based on the existing phenomena and laws, which are to be proved, should set in the scope of hypothesis. Science is true and affirmed. Hypothesis is uncertainty. Hold on the space, time, mass and energy view of materialism. Space. Space is one form of the matter existence. It is independent of human consciousness. Space is continuous and infinite. It is tree-dimension and isotropy. Space can be marked with the help of isotropy reference system. Time. Time is one form of the matter existence. Time is continuation sequence of the moving object, and independent of human consciousness and it is eternal. Time is continuousness, one-way, lapse in constant rate, no beginning and ending. It can be signed with even clock system. Mass. Mass is one of the matter essential properties. Mass describes the amount of the matter. There is no matter with zero mass. Energy. Energy is the motion-state attribute of matter. The material energy has several kinds of existences forms. Under the certain condition, the material energy may transform mutually between the different forms, but the total energy is invariable. Relation of time and space. Time is time and space is space, they are both objective. Time is not a function of space and space is not a function of time. They are both fundamental elements of describing the material world, and can no longer change after being defined. Relation of energy and mass. The mass is mass and the energy is energy. They are both fundamental elements of describing matter, and cannot transform mutually. Mathematical space and physical space are different. In mathematics, a multi-dimensional variable may be described as existing in multi-dimensional space. In physics, we have one-dimensional space (line), two-dimensional space (surface) and three-dimensional spaces (body), but no higher dimensional space (not including time). The multi-dimensional space of mathematics cannot be transplanted directly to physics except if it is smaller than or equal to three dimensions, which correspond in mathematics and physics. The Special Relativity is fault Constant speed of light assumption and Lorentz transformation in Special Relativity & its deductions are wrong. It ignored the relative motion between different coordinate systems, so it led to series of falsehood. Velocity of light is appeared as only velocity of sending signal and any special property of light is not used in the Special Relativity. If velocity of sound was defined as sending signal velocity, the absurdity conclusion that velocity of any object can not exceed that of soundwould have come out. Observation issue of moving object to be solved by Newton space-time principle Observation issue of moving object can be solved with the help of Newton space-time principle. Moving does not result in length change, time change and mass change. Relative velocity between two objects can exceeds light velocity. Special Relativity should be abandoned. The result is the co-study of scholars attending (table 1) and absenting (table 2 ) the seminar. Persons attending the seminar: Aug 19, 2007. Scientific Inquiry, 2007, 8(2): 229-236. This paper studies the current status of special relativity in science and philosophy as well as society, and reasons for special relativity to achieve its fame, and presents three academic viewpoints, four public attitudes, comments of known scientists on special relativity, and lists periodicals, scientific meetings, and networks studying questions on special relativity. We summarize various arguments about special relativity, analyze the logic mistakes contained in special relativity, and investigate the authenticities of validations and applications of special relativity. Our study indicates that the essence of special relativity is an incorrect logical consequence from the idealist standpoint and analyzes the harms special relativity has placed on science, philosophy, and society. We advocate the materialistic way of seeking truth based on facts and the publication policy that hundreds of flowers blossom and hundreds of schools of thought contend in order to liberate scientific research from the imprisonment of special relativity. The views of space-time and mass-energy of idealistic special relativity should be abandoned and the views of space-time and mass-energy of materialism should be restored and developed.